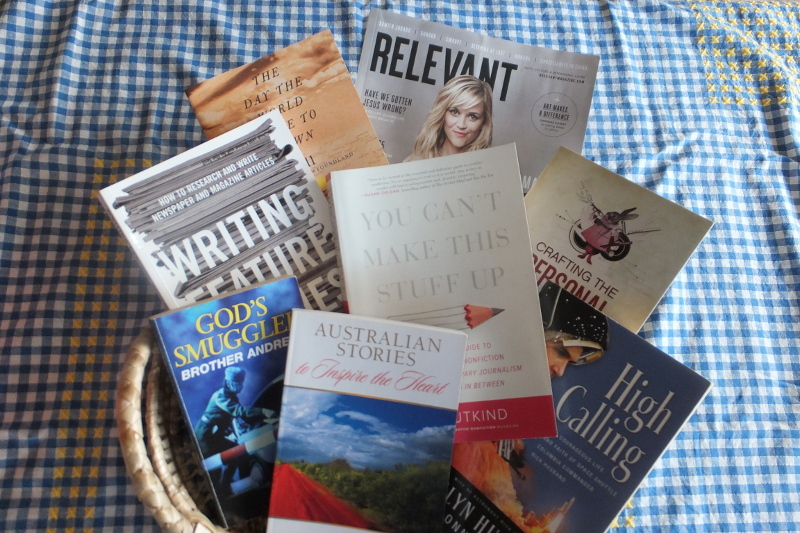 In this cross-post between Australasian Christian Writers and Christian Writers Downunder, I’ve been tasked with writing about the different types of nonfiction. This genre covers a lot of ground, from biographies of famous people to new ways with tofu, from annual reports and training manuals to news articles and blogs. First, let’s get some definitions under our collective belts. In the broadest sense, nonfiction is anything based on factual information. This differs from fiction built around true events or characters. 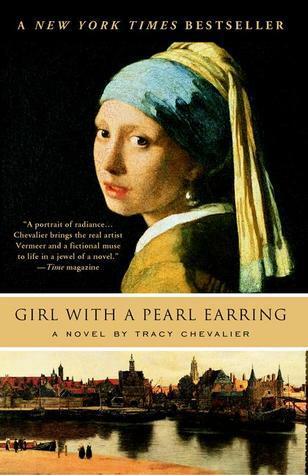 Tracy Chevalier imagined a backstory for the girl in Vermeer’s iconic painting Girl with a Pearl Earring. We understand that she took some literary licence in doing that, but it doesn’t matter. We’re happy to get swept up in the story. In contrast, readers expect that nonfiction is true, or at least a well-argued and reasoned version of the truth. I also want to make a distinction between straight reportage and creative nonfiction. In reportage, you present the information as objectively as possible. For example, journalists report the news using the 'who, what, when, where, why and how' questions. An intoxicated Lithuanian clown was injured this morning when his skateboard collided with a penguin on the Gold Coast Highway. The penguin remains in a fishy condition at Sea World. Other types of nonfiction that might come under the reportage umbrella include dissertations, scientific papers, and annual reports. These documents can include opinion, interpretation and analysis, as long as such commentary is logical and consistent with the available evidence. In creative nonfiction, you still deal with facts, but you use literary devices to convey them in an engaging way (e.g. scenes, dialogue, imagery). For example, a straight news article might report that missiles were fired over Tel Aviv, while a piece of creative nonfiction might show events through the eyes of someone holidaying in Israel at that time. (See Anna Elkins’ travel essay Of Danger and Beauty for an example). 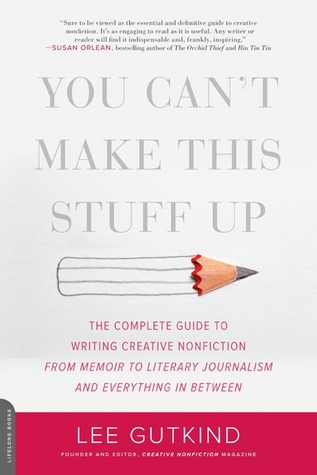 If you would like to find out more about writing creative nonfiction, I highly recommend Lee Gutkind’s book You Can’t Make this Stuff Up: The Complete Guide to Writing Creative Nonfiction from Memoir to Literary Journalism and Everything in Between. If you would like a quicker introduction, I have a four-part series on creative nonfiction on my website. Just go to my writing tips blog and see Posts 33 to 36. In the remainder of this post, I’ll highlight some of the main types of creative nonfiction. Biographies, autobiographies and memoirs all tell about the life of someone, but they differ in terms of the author and focus. A biography is written by someone other than the subject. For example, Bonhoeffer: Pastor, Martyr, Prophet, Spy by Eric Metaxis. In contrast, autobiographies and memoirs are written by the subject. It’s your story told in first-person. While there is some overlap between the two, memoirs tend to cover a particular theme or a shorter period in the person’s life rather than trying to include the whole saga. 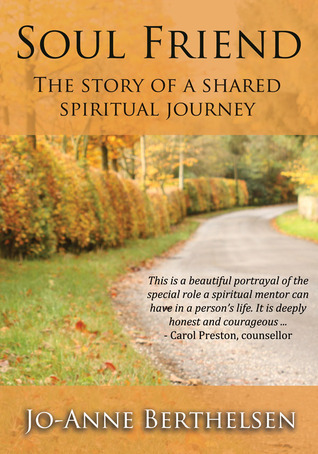 Jo-Anne Berthelsen’s memoir Soul Friend tells the story of her special relationship with her spiritual mentor, Joy. Other aspects of Jo-Anne’s life are only mentioned insofar as they relate to that main theme. Memoirs also typically involve more reflection, as authors look back on events and discuss what it means to them now or what they might have done differently. For some tips on writing life stories, please see Posts 8 to 11 on my blog. As the name suggests, these types of books give readers practical instructions for accomplishing certain tasks. Whether it’s upcycling or unicycling, preparing a sermon or peppering a salmon, there’s bound to be a book or article to show what you need to know. There are also a myriad of writing craft books that show you how to show, and tell you how to tell. Some favourites of mine are Plot and Structure by James Scott Bell and Story Genius by Lisa Cron. (Click here to see my post on how to use Cron’s techniques to deepen character in fiction). Self-help books are like ‘how-to’ guides for your life. Some of these books help you deal with challenging situations (e.g. abuse, addiction, depression, parenting, singleness), while others help you to lead a more fulfilling life. A number of Christian living books fall within this category. 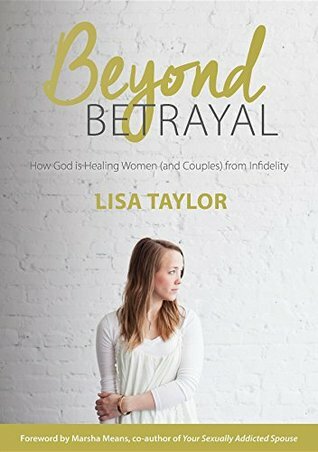 In her book Beyond Betrayal: How God is Healing Women (and Couples) From Infidelity, Lisa Taylor shares her own story, but also discusses research, strategies and resources to help people who’ve been through similar experiences. Other examples include Bill Hybel’s Simplify: Ten Practices to Declutter Your Soul and Cloud and Townsend’s Boundaries: When to Say Yes, How to Say No To Take Control of Your Life. I’m using this term in a very broad sense to refer to books that describe or explain information surrounding a particular topic. It could be a book about brain surgery, global warming, literature, theology, politics, cricket, history, psychology, or the companions of Dr Who. The main aim is to inform the reader about the topic. 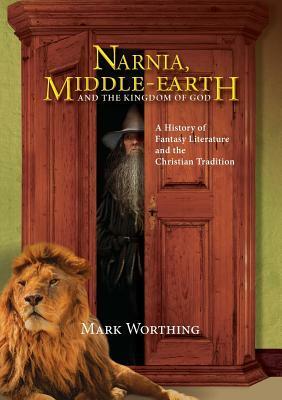 For example, Mark Worthing combines literature and history in his book Narnia, Middle-Earth and the Kingdom of God: A History of Fantasy Literature and the Christian Tradition. Most theological books would come under the expository banner (e.g. 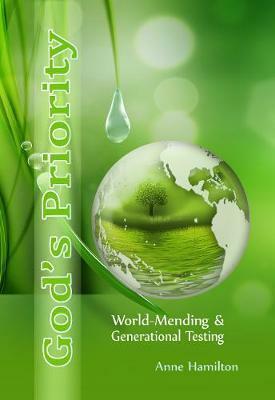 God’s Priority: World-Mending and Generational Testing by Anne Hamilton). Devotional books or Bible studies could also fall within this category, though the more applied devotionals may fit better in the self-help category. Whoa! What are poetry and song doing in a post about nonfiction? Long before books and television were readily available to the masses, true stories were passed from village to village by poets and balladeers. These methods are of course still used today. 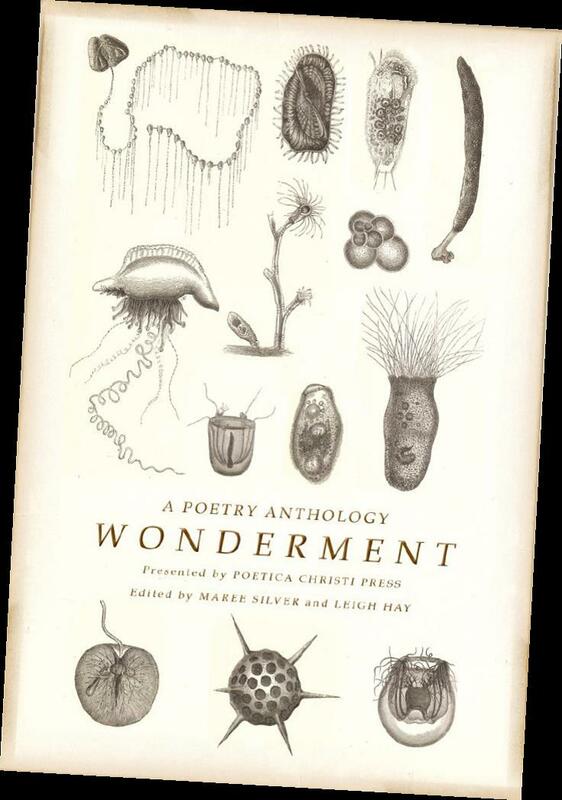 In the latest Poetica Christi anthology, Wonderment, I have a poem called Apollo 8 in which I tell the story of the astronauts who read from the book of Genesis in a Christmas Eve broadcast from lunar orbit in 1968. You can hear part of the original broadcast here. Even if you don’t know a lot of poetry, I’m sure you can think of dozens of songs based on true stories (e.g. Hurricane by Bob Dylan, I Was Only 19 by Red Gum and The Outlaw by Larry Norman). As I mentioned earlier, there are dozens of sub-genres within nonfiction and I’ve only scratched the surface. There is also a lot of overlap across categories. 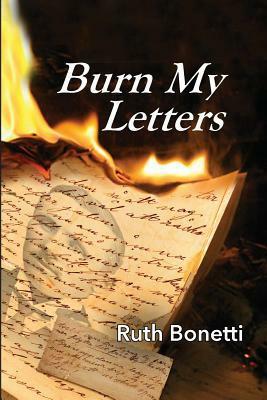 For example, Ruth Bonetti combines family memoir with the political undercurrents of the times in her award-winning book Burn my Letters: Tyranny to Refuge. Even if you mainly write fiction, you could make the odd foray into the nonfiction world. Perhaps you could write a magazine article about the nineteenth century fashions worn by your heroine or the science behind the gene therapy in your young adult thriller. Anthologies also provide opportunities for short nonfiction pieces (e.g. 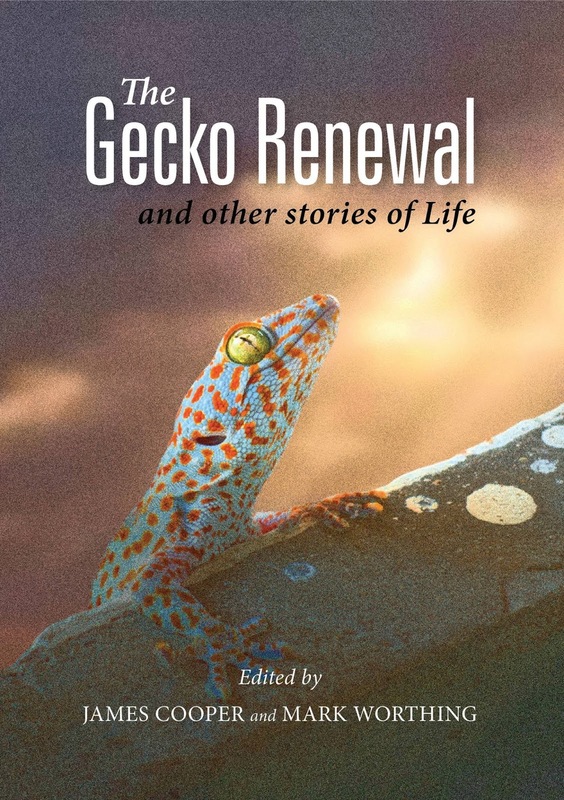 The Gecko Renewal and Other Stories of Life edited by Tabor College lecturers James Cooper and Mark Worthing). What are your favourite nonfiction books and why? I’d love to hear your examples. Nola Passmore is a writer and editor who has had more than 150 short pieces published, including fiction, poetry, devotions, magazine articles, academic papers and true stories. She and her husband Tim own their own freelance writing and editing business called The Write Flourish. She is currently writing an ever-changing novel and will have the draft finished before Christmas ... really! Hi Nola. Thanks for giving 'The Gecko Renewal' a shout out. Competitions like Stories of Life give people a chance to try their hand at nonfiction in short story form. It's a great opportunity and it looks like it will run again next year :). As I wrote in my comment on the CWD blog, thanks again, Nola, for including my book 'Soul Friend' in your excellent overview of what non-fiction is all about. When I next have to give a workshop on creativity in writing non-fiction, I will remember to refer back to this--very helpful. Also as I said on the CWD blog re my favourite non-fiction books, I love the more contemplative, reflective style of Christian authors such as Henri Nouwen, Richard Rohr, David Benner etc. I might not agree with everything I read, but it gives me much food for thought and prayer. My pleasure, Jo. I really enjoyed 'Soul Friend'. I've heard a lot of good things about Henri Nouwen, but haven't actually read any of his books. Will have to check him out, along with the others you mention. I used to read a lot of biographies and autobiographies. 'The Hiding Place' and 'God's Smuggler' are still among my favourites, but I also like reading anthologies of short true stories. Everyone has a story to share. Thanks for sharing yours. The timing for your post is also excellent - starting next Monday we’re drawing on the treasure in our ACW blog archives. We will be sharing your three part Creative Nonfiction series on each Monday in November. 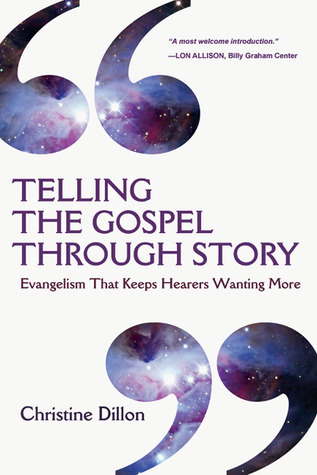 H Nola, I've been tossing around the idea of writing about experiences I've had as the "better" half of our evangelistic ministry. I thought its title could be 'Beds I Have Slept In'. It would definitely contain scads of humour. Is that permissible in a non serious, non-fiction kind of memoir? Hi Rita - Humour in a memoir definitely fits within that category. Remember, I'm the woman who brought you clowns and penguins on the Gold Coast Highway! There are many humorous memoirs out there, but humour also has a place in an otherwise serious memoir to 'lighten the load'. I'll look forward to your tell-all book coming out. Thanks for commenting. Hi Nola, excellent introduction. I read over 50 non-fiction books most years, a combination of Christian living or self-help, bio/memoir and 'how to' ... Some of my favourite authors are: John Eldredge, John Ortberg, Jon Bloom, Mark Batterson, Dallas Willard, to name a few. I'll often study a "topic" as I've found most years there is a common topic that comes out. For example, prayer has been popular the last few years and I've read a number of different books on the topic. This year, "Intimacy with God" is becoming popular. Interesting for me as I'm working on my own project on this subject. Memoir-style books continue to be popular. One thing I've found that differentiates the better memoir from the average one is that they identify universal truths through their own experience. This has been valuable for me as I work on my non-fiction piece as often we can base too much emphasis on our experience which may not be universal and/or sufficiently interesting or relevant. We're all familiar with the comment "one day I'm going to write my story" - and yes, for many this is important to do for a variety of good reasons. The creating process side by side with the Lord is one great reason to do this. However, unless their story is particularly compelling or includes many universal truths it's unlikely to find a wind readership beyond family and friends. Hi Ian - Thanks for that. Wow, that's a lot of nonfiction books in a year. I used to read primarily nonfiction, until I caught the fiction bug about 10 years ago. Now it's probably half and half (or a little tipped towards fiction). I think you've made a really valuable point about the universals in a good memoir. I have to remember that when I'm wearing my other hat as an editor. Lots of people want to write their life stories, but I always ask them what they hope to do with it. Writing it just for family and friends is certainly valid and some people are happy with that. However, I always let them know it needs to have broader appeal if they're hoping to have it traditionally published, or even if they're self-publishing but hoping to reach a wide audience. Your own project sounds really interesting. Good luck with it. It was great seeing you at the conference. Sorry I didn't get a chance to talk to you more. So much happening on the Saturday that my head was in a spin. Hi Nola, great blog! I guess my Survival series fits into self-help, except that it doesn't take itself too seriously. Interestingly, I also write other kinds of non-fiction such as songs and have considered a kind of professional memoir. So many ideas to pursue! Thanks for this breakdown Nola! I like the Christian living type books that would fall in the 'self help'. One of my favourites is by Shauna Niquest and it's called Present over Perfect. It's a self-help that isn't all serious, has some fun in and some recipes, but also some tips on dealing with life.